It is a versatile FLAC to MP3 Converter, all conversion processes, such as FLAC to MP3 and MP3 to FLAC is very easy and fast. And it provides optimized default setting, you can converting your file is just a button click away. you can enactment every FLAC to MP3 / MP3 to FLAC converting task flexibly, and the task can be saved and load. You can view the detail information about audio codec, audio bit rate, sample rate etc. of an audio file. 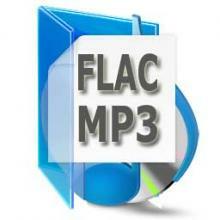 It is a versatile FLAC to MP3 Converter to convert files between FLAC and MP3. 2. Batch conversion-- you can enactment every FLAC to MP3 / MP3 to FLAC converting task flexibly, and the task can be saved and load. 3. User-adjustable codec parameter setting-- All of the video codec parameters is optimized and predigested, the default setting can get good quality MP3 or FLAC files, and you also can set them flexibly to get excellent quality MP3 or FLAC files. 4. Output parameters configuration Output files can be renamed (without extension file name MP3 or FLAC etc.) and the output path can be easily modified (absolute path). 5. View the information of the original files You can view the detail information about audio codec, audio bit rate, sample rate etc. of an audio file. It is an effective tool can convert MP3, WAV, WMA, and OGG from one to another. It is designed for converting WAV to MP3 music, MP3 to WAV, and APE to MP3. It can directly converters between audio format WAV, MP3, WMA, OGG. RZ MP3 Converter, Convert any videos and audios to MP3, Rip Audio CD to MP3. Convert all popular audio/video file formats to OGG or MP3. Convert all popular audio/video file formats to WMA or MP. Qweas is providing links to Tutu FLAC MP3 Converter 3.1.9.1203 as a courtesy, and makes no representations regarding Tutu FLAC MP3 Converter or any other applications or any information related thereto. Any questions, complaints or claims regarding this application Tutu FLAC MP3 Converter 3.1.9.1203 must be directed to the appropriate software vendor. You may click the publisher link of Tutu FLAC MP3 Converter on the top of this page to get more details about the vendor.